ABB’s latest version of its System 800xA high integrity safety system (SIL 3 rated) is now operating on StatoilHydro’s massive Troll A offshore gas production platform. 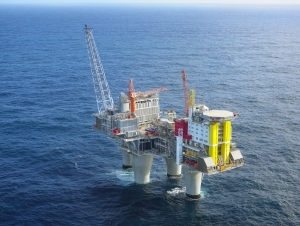 The system will control emergency shut down applications on the platform, located 70 km off the coast of Norway. The largest gas field on the Norwegian Continental Shelf, Troll represents some 60 per cent of the region’s total reserves. The Troll A platform produces about 75 million standard cubic meters (scm) of natural gas per day plus 10,000 barrels per day of natural gas liquid (NGL) condensates. This output supplies approximately 10% of the total natural gas needed by customers in Europe. System 800xA High Integrity will provide emergency shut down applications, to protect the personnel on the platform, processes and production assets, as well as the environment. At the same time, it is integrated with the platform’s ABB automation systems to help Troll A to run at peak efficiency, with minimal interruptions, to safely keep this vital energy supply source in operation. ABB released its latest generation of the System 800xA High Integrity safety system earlier this year This SIL 3 rated Safety Instrumented System (SIS) provides the highest level of integration of safety and control on the market today, and a unique embedded diverse technology architecture that provides superior protection of the process, plant, personnel, and the environment while it optimizes overall process efficiency.